Intensive MID-IB Summer School Course in Barcelona for IB students from around the world. Coming to Barcelona for your post-16 studies? Are you an IB or National Baccalaureate student? Are you at University? Six Lemon World is not your typical student residence, it’s a place to live with people like yourself and feel as if you are at home. The residence is a brand new, state-of-the-art facility near the beach with personalised service where you can make the most of your experience. You will have your own space to study and relax. We also offer a wide variety of cultural and leisure activities to share with your Six Lemon World family. Security, modern, quality, culture, tranquillity, fun, friendship … this is Six Lemon World! Six Lemon World is a newly created initiative: bright, fresh and connected to the modern world. But, it also has years of experience in the international and educational field since it belongs to the prestigious institution Hamelin-Laie International School, and is also linked to SAS Educational Services, which is dedicated to student exchanges at a national and international level. Six Lemon World is exclusively for students over the age of 16, with priority given to International Baccalaureate students. Six Lemon World is located on Hamelin-Laie International School’s campus. Hamelin-Laie students over 16 years of age can stay at the residence. Students that are in universities or nearby educational centres can also be accommodated. Many of Hamelin-Laie’s services are shared with Six Lemon World: restaurant, cafeteria, sports areas, library, study rooms and dance rooms. IB stands for International Baccalaureate®, a non-profit educational organization founded in 1968 that offers four prestigious international education programmes with the aim of developing the intellectual, personal, emotional and social skills that students need to live, learn and work in a global world. 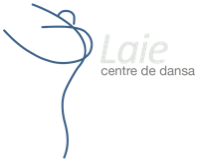 Hamelin-Laie International School is an educational centre authorized to teach the Diploma Program (PD) of the International Baccalaureate® in Spain. 10-minute walk to the beach: Enjoy the sea all year round! Excellent transport service into the centre of Barcelona. Nature in an urban centre. Wide range of activities available to make the most of the Mediterranean climate. Personalised attention and friendly staff: You will be looked after and attended to. Safe and pleasant: 24-hour security service and support. Feel at home: you will be surrounded by your Six Lemon World family while also enjoying your independence. High standard with competitive prices: minimalist, modern and style at a standard price. The perfect balance between fun, friends and privacy. Common areas: Garden, terraces, sports areas, study rooms and a library. Barcelona’s cultural wealth is recognized worldwide. Immerse yourself in the charm of modernist buildings and lively streets. Visit museums and attend some concerts, you will always feel part of the city. Near the city centre there are parks and beaches where you can go on excursions, hiking trails, and spend the day surrounded by nature. The residency will provide you with more information about the activities and outings you can you can take part in while here. “Mediterranean diet” is much more than just enjoying healthy and tasty dishes, it is a lifestyle that combines wellness, culture, social gatherings and a connection with nature. Our professional kitchen staff will give you nutritious and balanced meals. At Six Lemon World we use local products and Mediterranean recipes, so you can enjoy the gastronomic richness of our surroundings like seasonal fruits, vegetables, fish, legumes, etc. We at Six Lemon World know how important it is to be up-to-date, absorb new developments, and use the many social networks available today, and we utilise them not only for news, but also for publishing photos and even videos! As such, we created a Youtube account together with Hamelin-Laie International School. On this channel you can find a number of items regarding Hamelin-Laie, Six Lemon World, the Dance School, etc. Don´t miss the finer details of our offering! You can visit our Youtube account, or see the videos directly on our website. We did a series of interviews with our students about the Six Lemon World residence. We chose Chinese students from different years, both Secondary and Primary, along with the National and International Baccalaureate. We asked them a number of questions regarding the cultural differences between Spain and China, and the difficulties they´ve had studying in Spain, with the language, etc. We´ll keep uploading the interviews as we do them. Don´t miss them! Future interviews...Take part in them! As part of the interview project, we´re interested in interviewing students of different nationalities: Spanish, Russian, American, French, Italian, South American, etc. Would you like to take part? Get in touch with us to get involved in this unique, international project. You´ll have a great time and help us see another point of view on the school. The “Marketing and Advertising” students from 2nd Baccalaureate in Hamelin-Laie International School, have created a video to present the residence. We want to thank them for their efforts and for sharing their work with us. Thank you Miguel Gómez, Paula Climent and Álex Monsonís!